An explanation of what happened to HMAS Sydney needs to fulfill three requirements. First, how did Kormoran defeat Sydney? Second, why were there no survivors from Sydney? 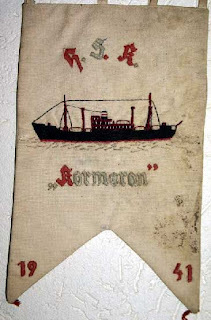 Finally, why has the story given by the crew of Kormoran not changed substantially in the last sixty years? The German story of Sydney’s end gives answers to the first two questions that are on the margins of plausibility, but can answer the third quite effectively. Wesley Olson makes probably the most plausible possible interpretation of the German case in Bitter Victory, a case summarized here. Nevertheless, other narratives of Sydney’s end have been developed. Some argue that the Kormoran must have made a false surrender to HMAS Sydney, then attacked when Sydney approached to accept the surrender. * This tactic is, of course, impermissible under maritime law, and would likely have resulted in the prosecution of the captain and crew of Kormoran for piracy. A false surrender would make the explanation of Sydney’s destruction somewhat more plausible, and she might have been even less prepared against the onslaught of Kormoran than can otherwise be accounted for. On the other hand, it’s difficult to believe that the Captain of HMAS Sydney would have dropped his guard against even a surrendered Kormoran; Sydney would almost certainly have been prepared for German treachery. However, if a false surrender was given, the elimination of Sydney’s crew makes sense, as any survivors would have revealed the inaccuracy of German claims. Finally, although I can believe that Kormoran’s crew would have stayed on message during the war and even in the immediate post-war period, it strains credulity to think that the 300 or so survivors would never have revealed the truth of the incident in the 66 years since the incident. Others have argued that a Japanese submarine assisted Kormoran in the destruction of HMAS Sydney. Presumably, the Japanese vessel would have come to the assistance of Kormoran during the battle against Sydney. As Japan was not yet at war with either Australia or the United Kingdom, the execution of any Sydney survivors would have been necessary in order to preserve secrecy. Partisans of this theory have further argued that, as this would have represented a war crime, that the absence of any evidence in Japanese records of such an attack is not proof that the attack did not occur. This does not explain, however, why no one from the crew of Kormoran has come forward to confirm this account. It cannot plausibly be argued that the crew of Kormoran would feel partial enough to Imperial Japan to conceal the Japanese attack for over sixty years. The fate of the sailor who washed up on Christmas Island has some bearing on our conclusions. Ballistic tests on the metal piece found in his skull now indicate that it is probably a shell fragment, rather than a bullet. This suggests that the sailor (if he was a crew member of HMAS Sydney), may have abandoned ship prior to the final destruction of the Sydney, and then been killed by a fragment from a successful Kormoran shot. The sailor may also have been dead or mortally wounded before being placed in the life raft. It seems unlikely, though, that large caliber weapons would have been used by either the Germans or the Japanese against any survivors of Sydney. The search for the wreck of HMAS Sydney continues. If discovered, the wreck will undoubtedly yield some clues as to what happened. Our understanding of the fate of HMS Hood, for example, has been made much more complete by an examination of her remains. The lack of torpedo hits would support the Japanese submarine theory, for example. Evidence of a magazine explosion would might help explain why no survivors were found. However, it’s unlikely that the wreck will answer all questions about the fate of the Australian light cruiser. *It should be noted that Admiral James T. Kirk of the USS Enterprise used this tactic against foes in two consecutive Star Trek films. 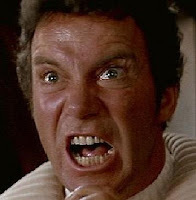 In Star Trek II: The Wrath of Khan, Kirk ordered a false surrender to the USS Reliant, then commanded by Khan Noonien Singh. As Khan himself was, at the time, unquestionably a pirate operating outside of interstellar law, Kirk’s tactic was probably legitimate. Indeed, Khan himself pointed out that he could give no guarantee that the surrender would be honored. In Star Trek III, Admiral Kirk again made a false surrender, sabotaging the Enterprise in order to kill the crew of a Klingon Bird of Prey. In this instance, Admiral Kirk’s false surrender was clearly an act of piracy. Moreover, Admiral Kirk had stolen USS Enterprise from Starfleet Command, and launched an unprovoked attack against the Klingon Bird of Prey. Kirk was fortunate not to be brought up on charges of piracy while in Klingon custody during the Gorkon Affair.